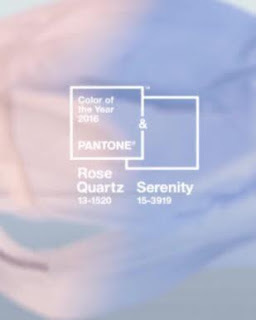 Pantone’s 2016 Color of the Year is Rose Quartz and Serenity. For the first time ever, the blending of these two shades make up the color of the year. Rose Quartz and Serenity symbolize a warm embrace and a soothing calmness. Fused together, these colors of compassion and relaxation are strong enough to challenge such a turbulent world yet soft enough to instill peace, which has always been the ultimate goal. Color has always been an important form of self expression, especially when it comes to fashion. These soft tones are welcoming and allow us to embrace the different perspectives of color usage.